In Denmark and Sweden, snaps are traditionally served during festivities like the holiday smorgasborg. This tradition is beloved to the point that there are special "snaps songs" for these shots. 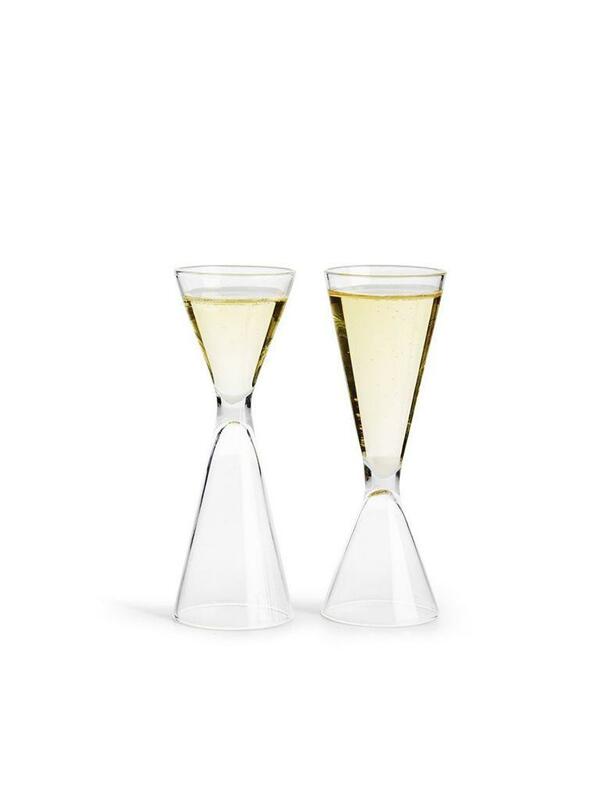 This set has two sizes depending on how much you (and your guests) imbibe. 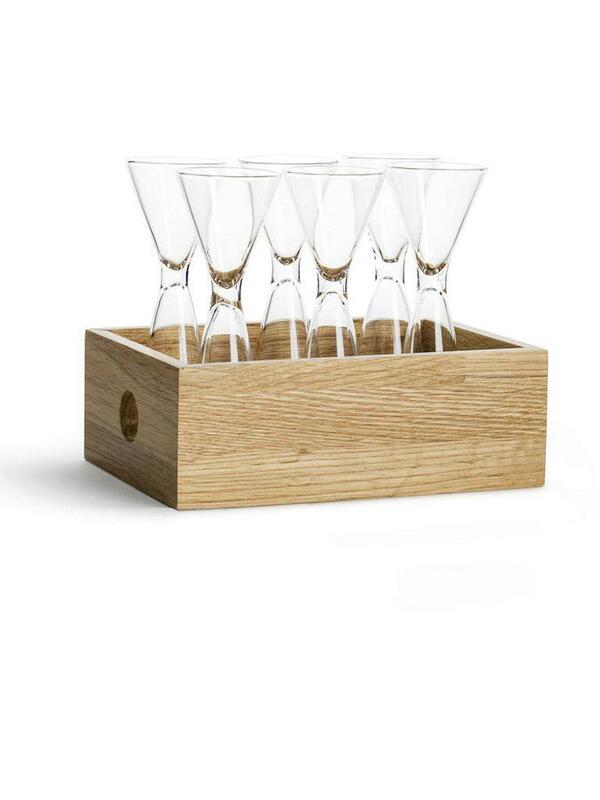 Set of six glasses, 2oz and 4oz capacity in each glass. Oak container.